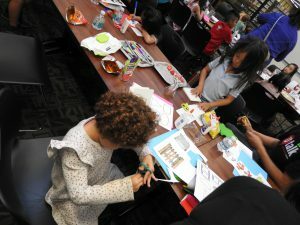 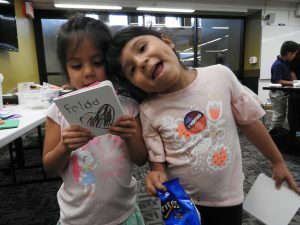 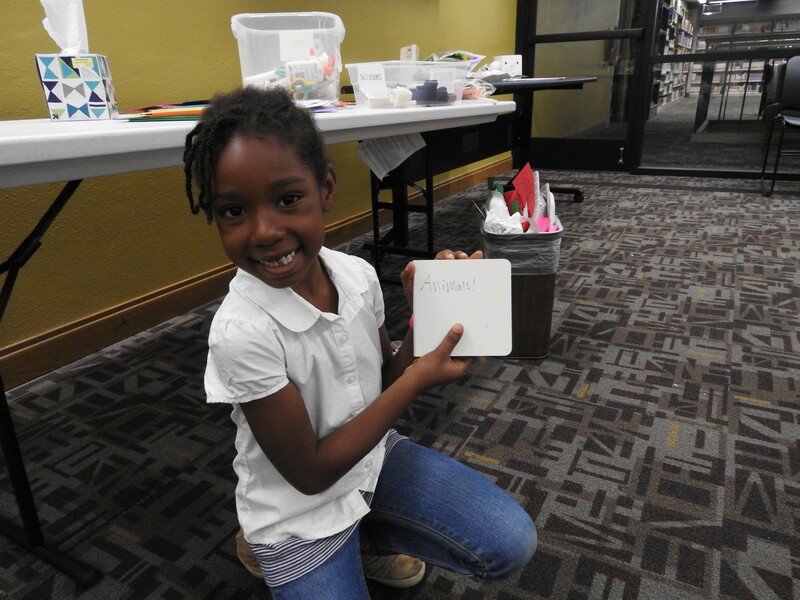 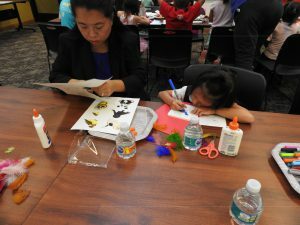 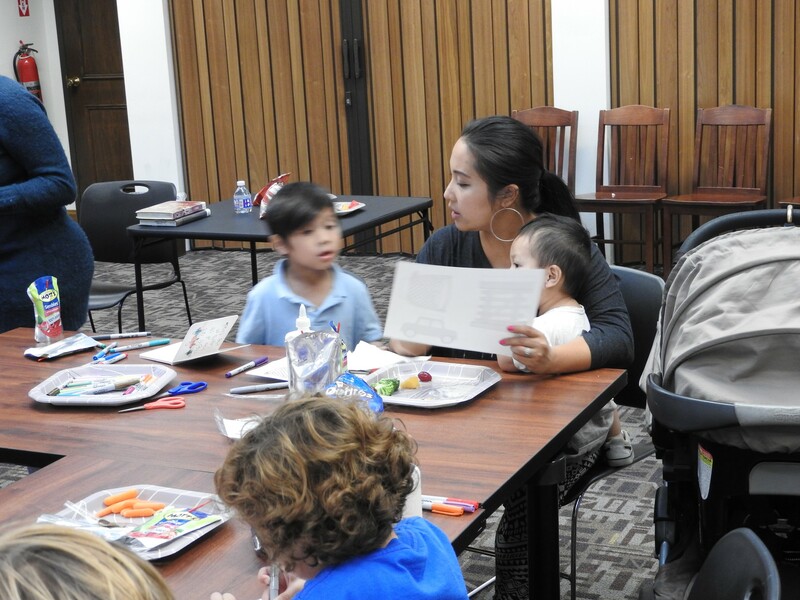 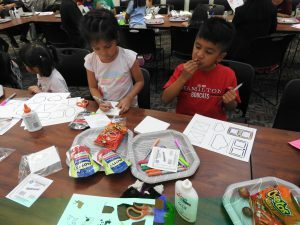 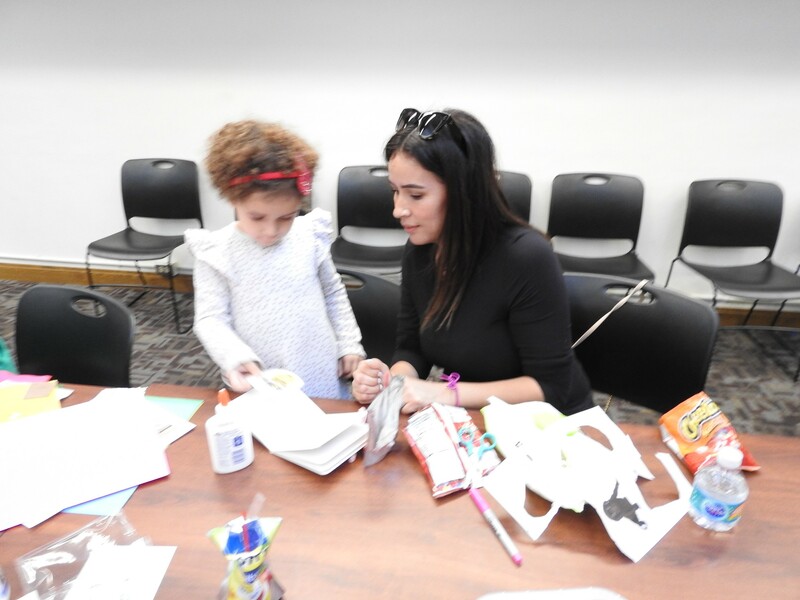 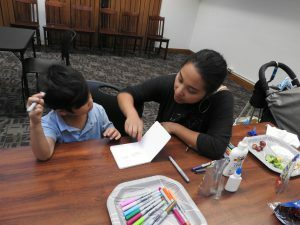 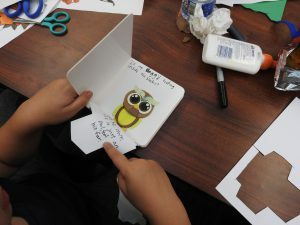 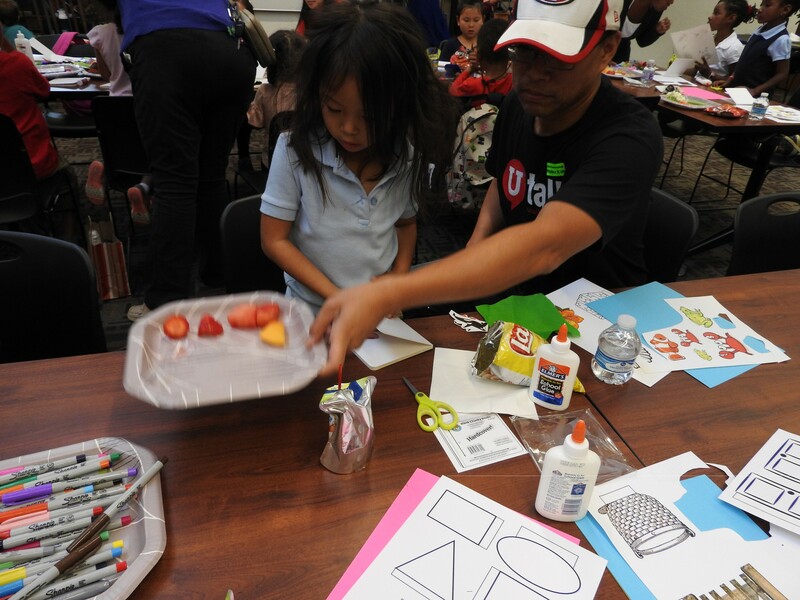 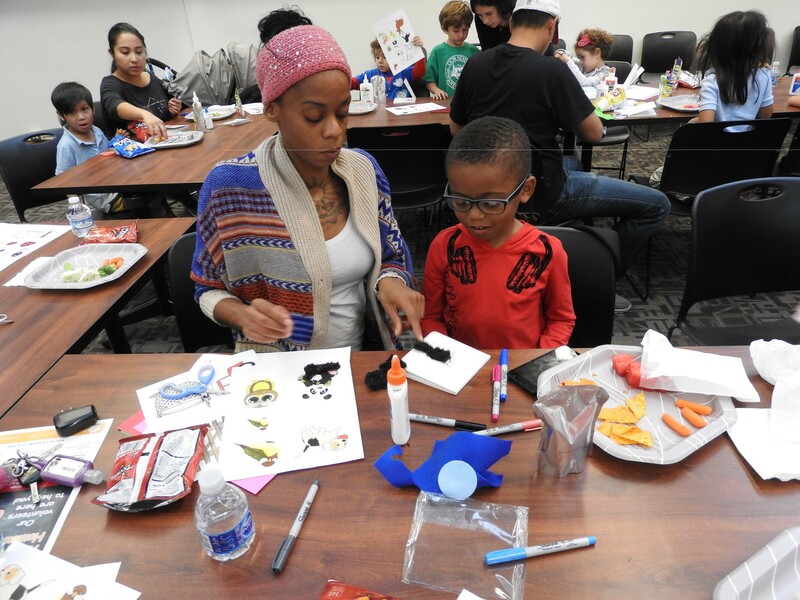 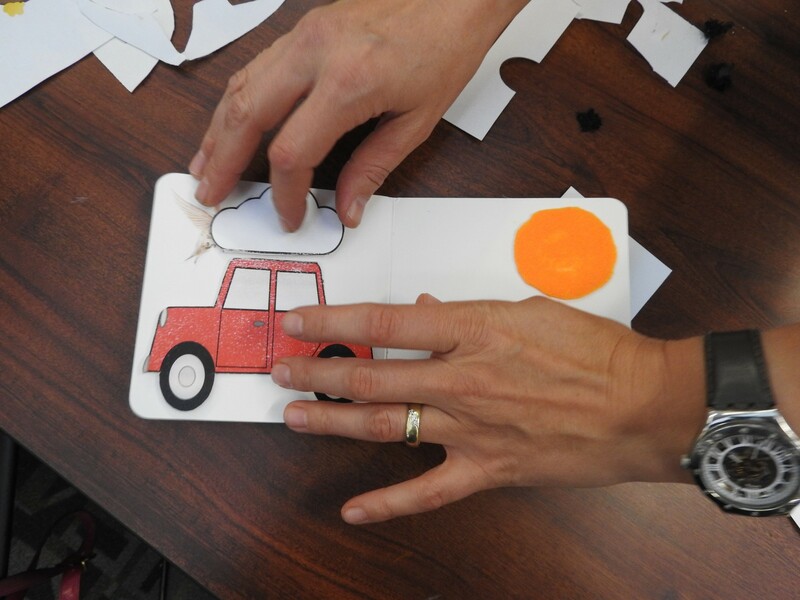 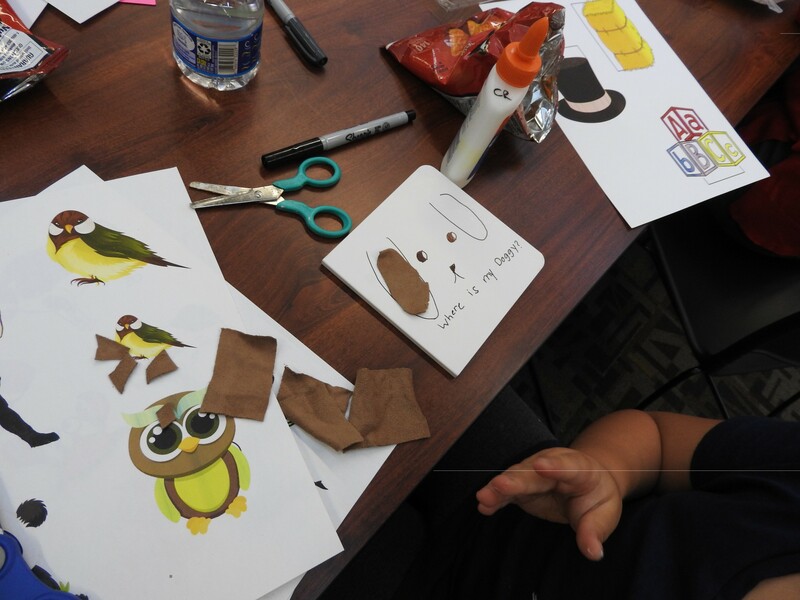 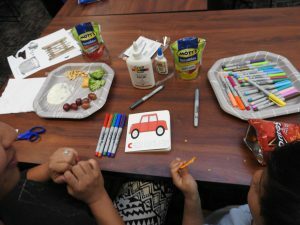 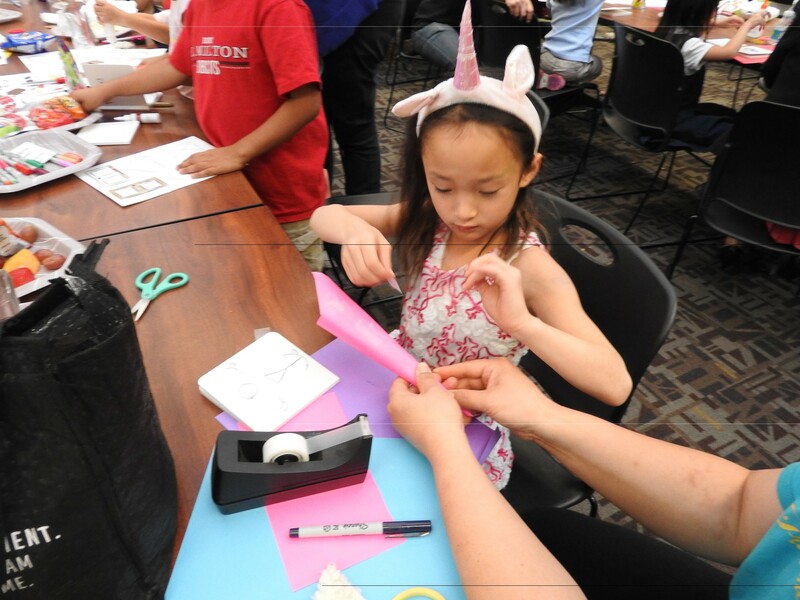 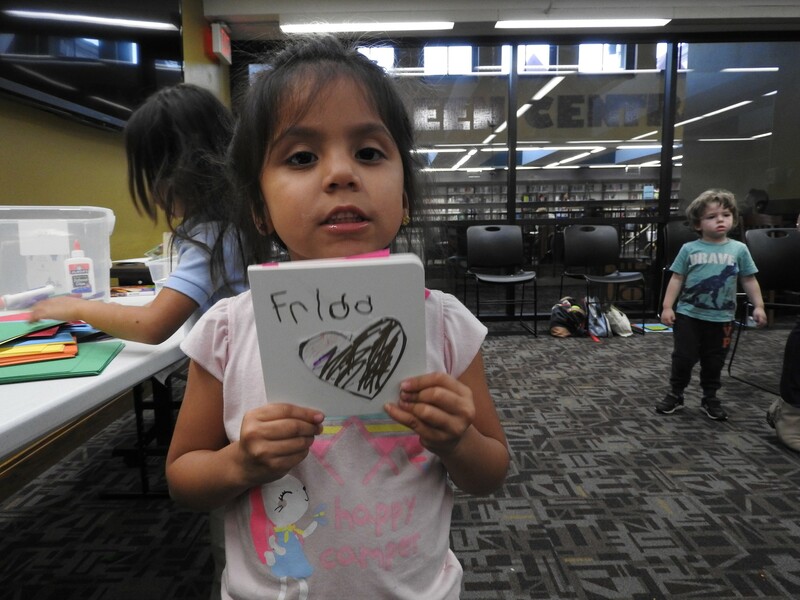 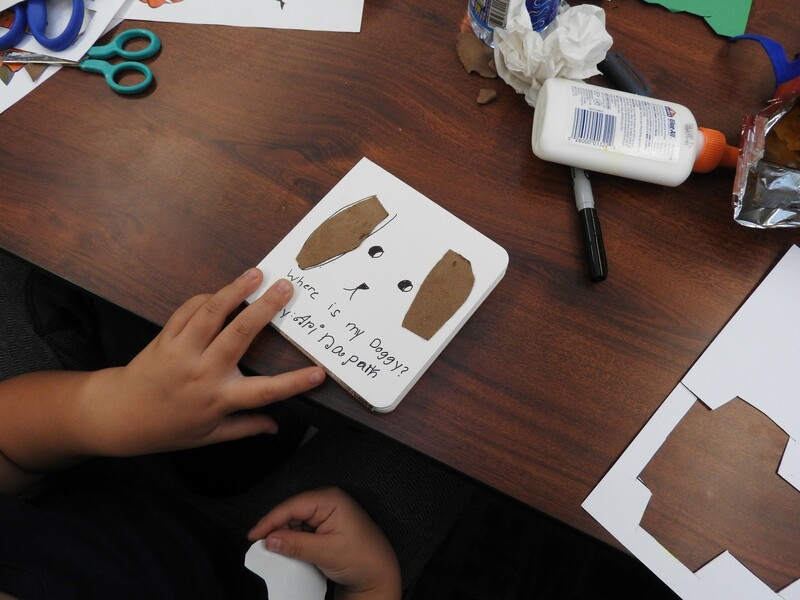 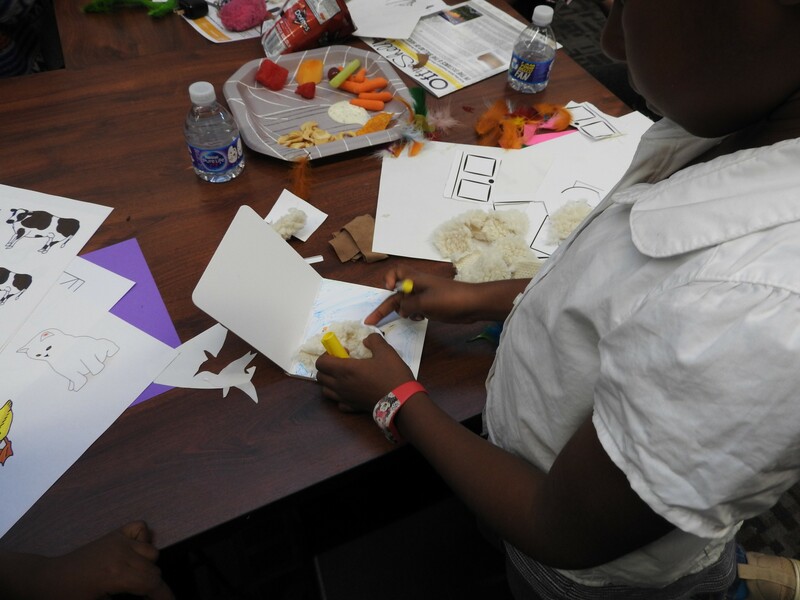 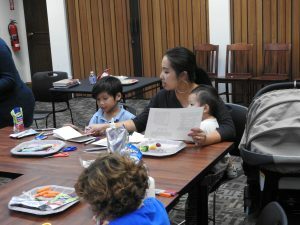 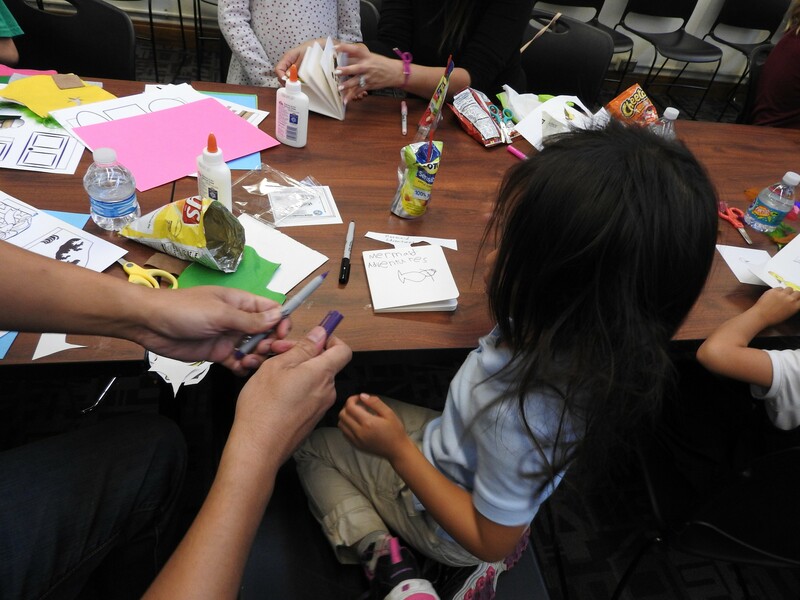 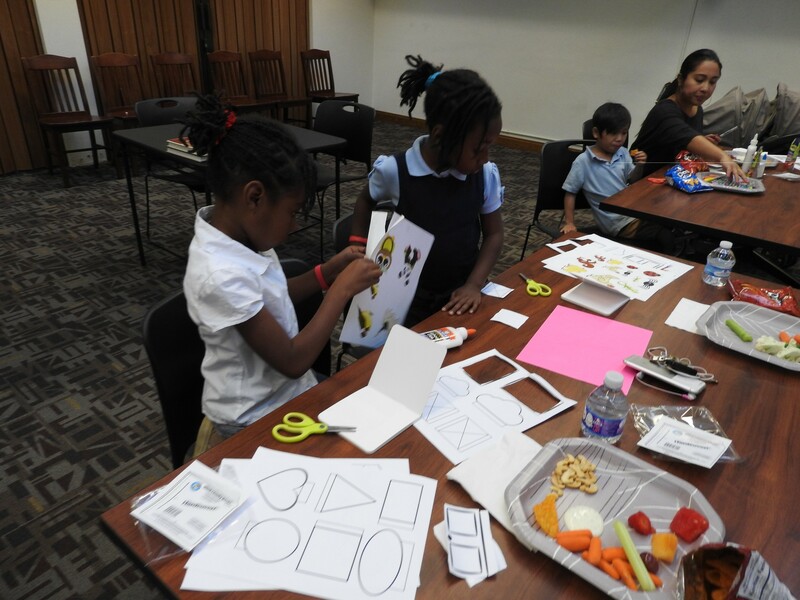 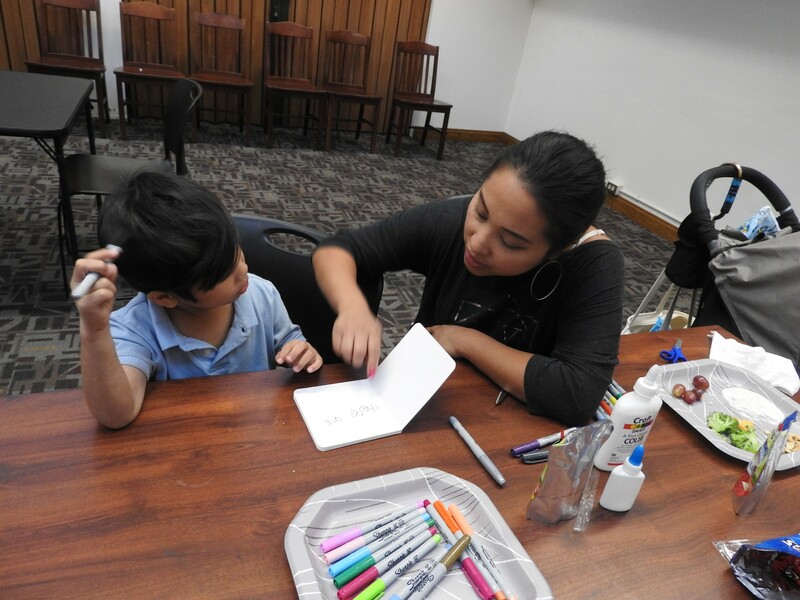 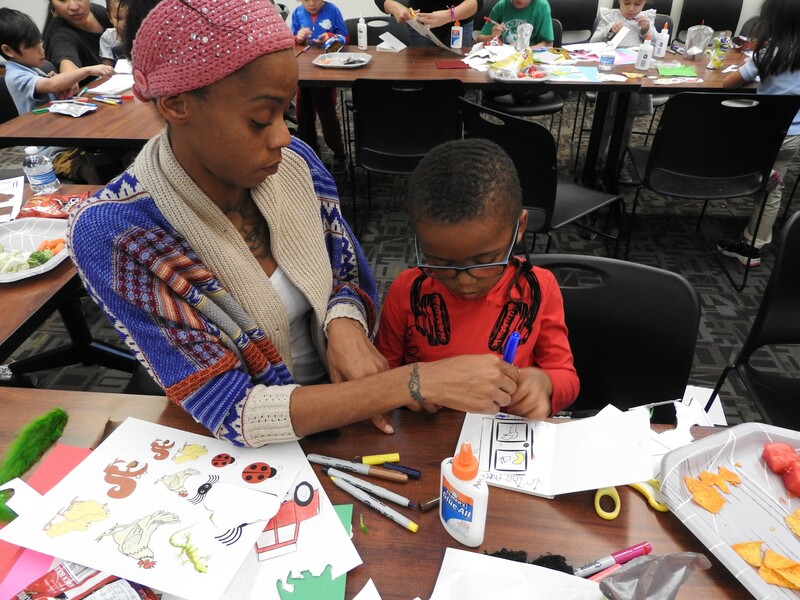 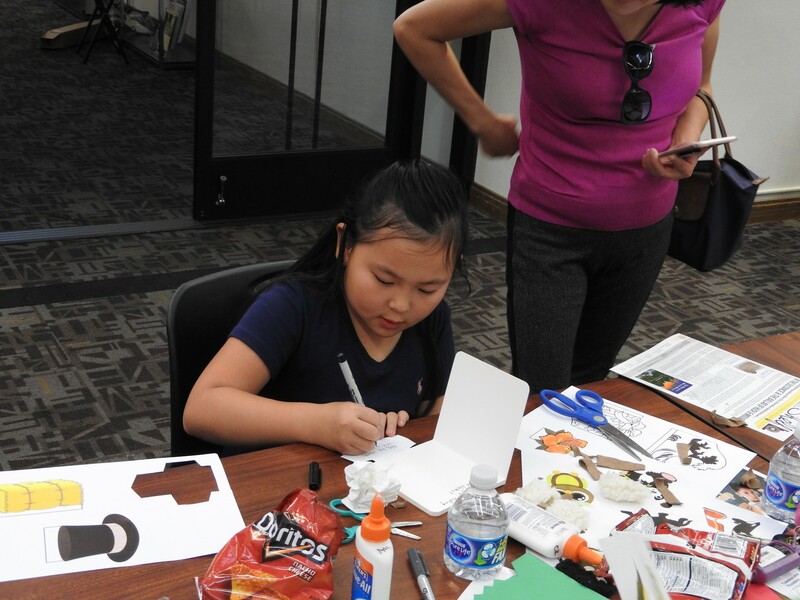 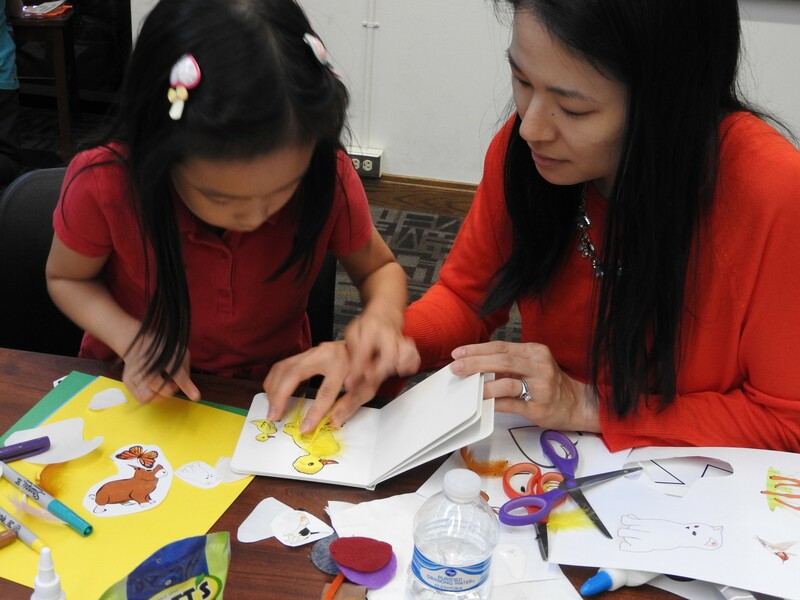 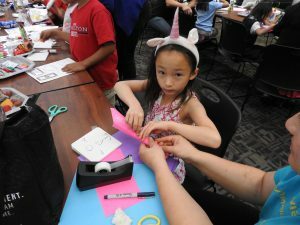 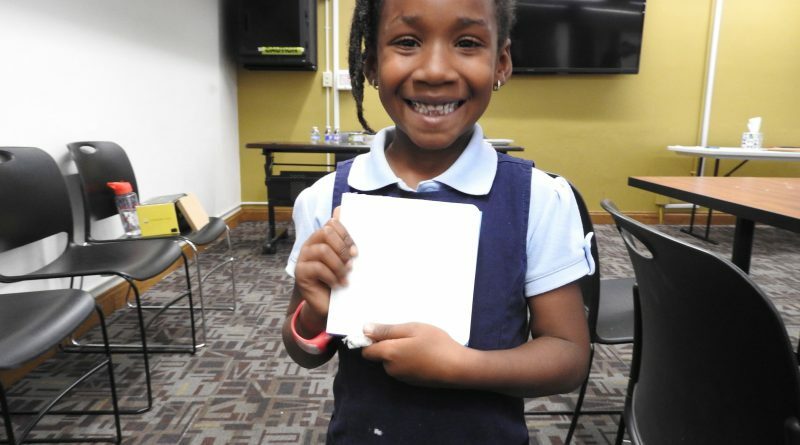 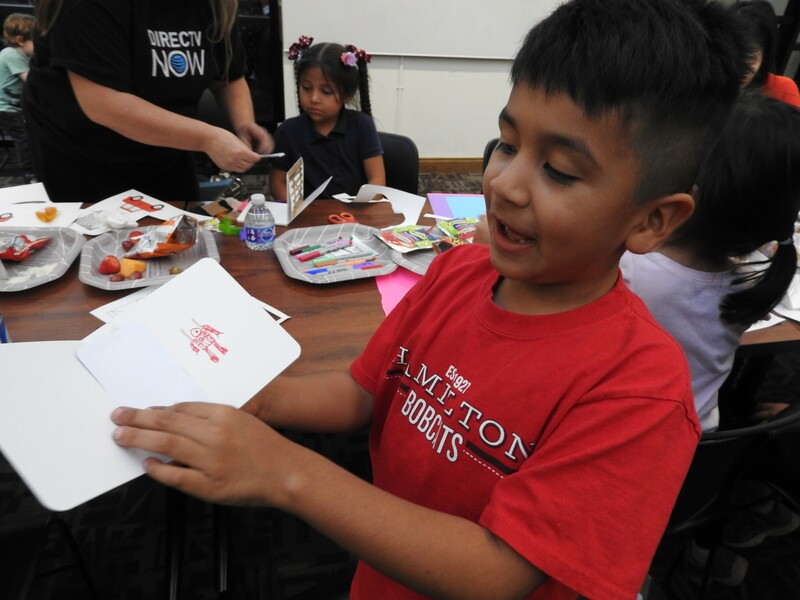 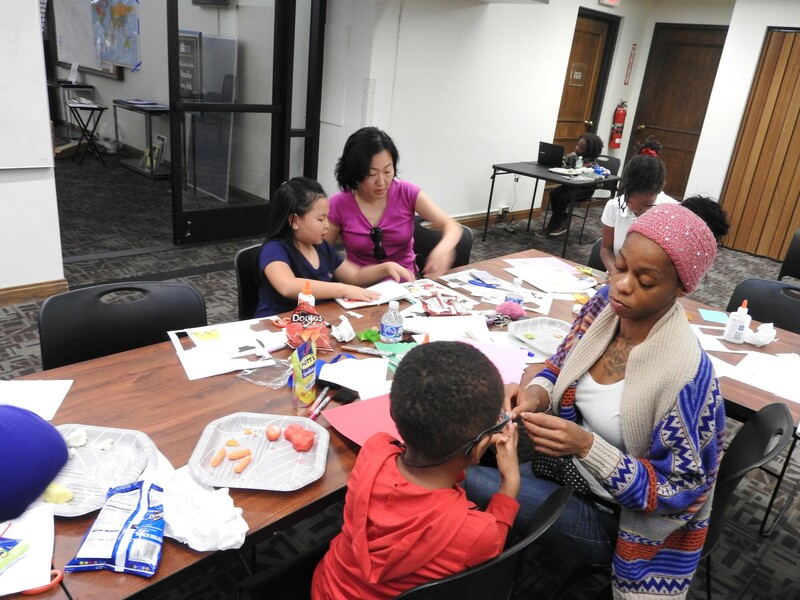 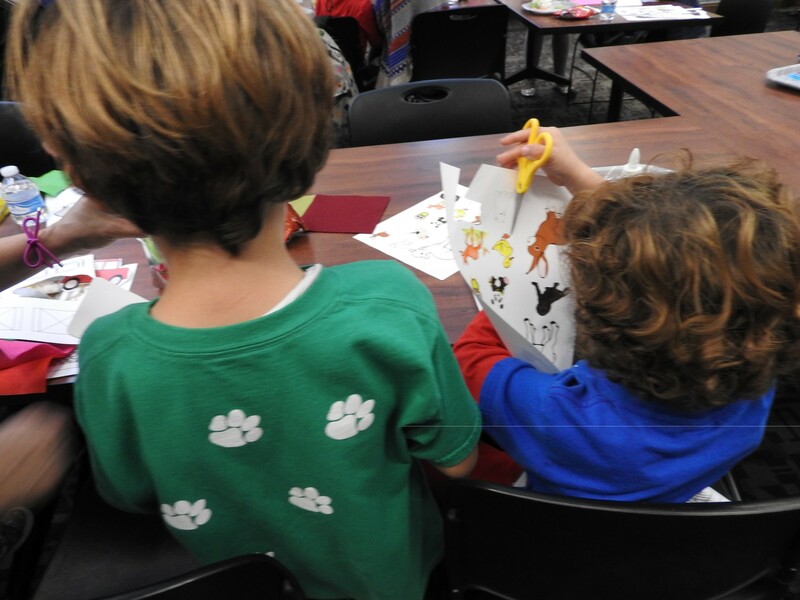 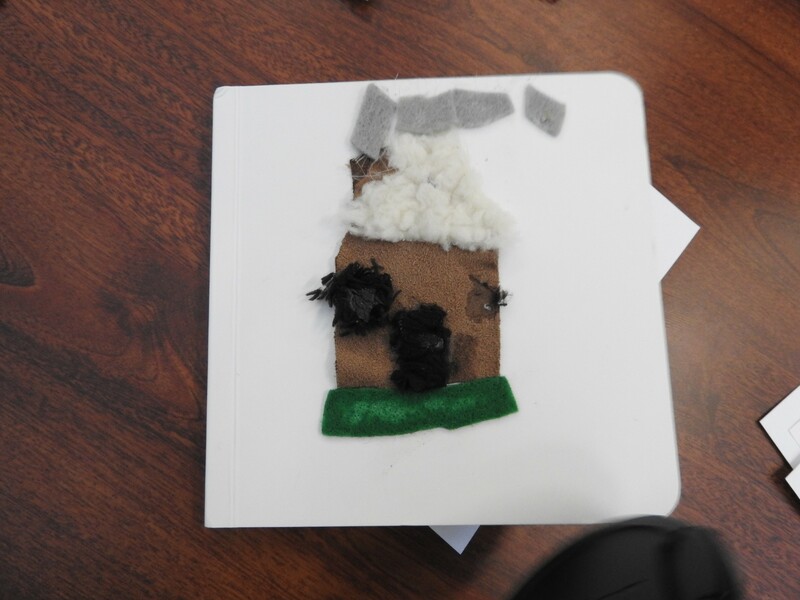 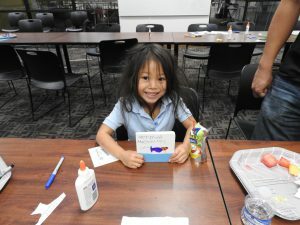 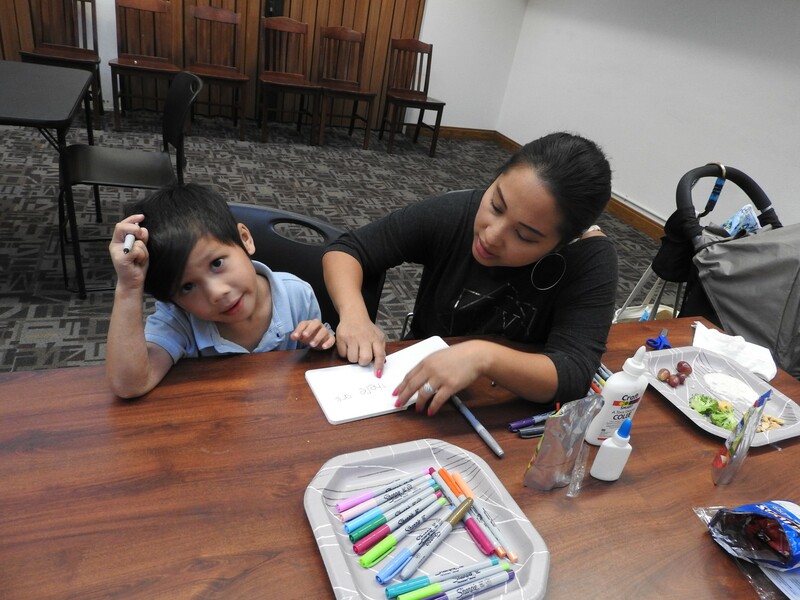 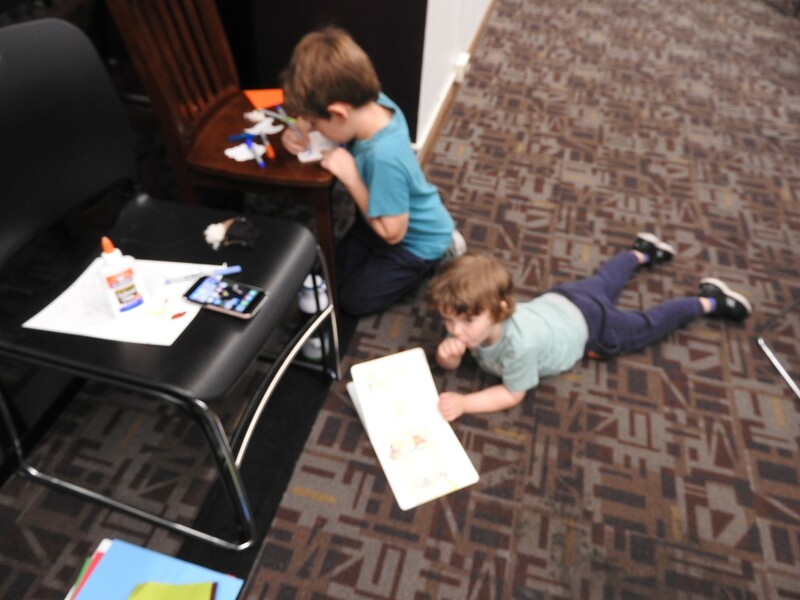 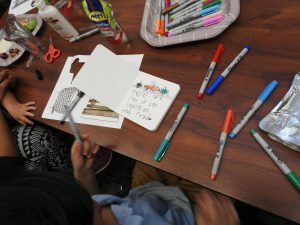 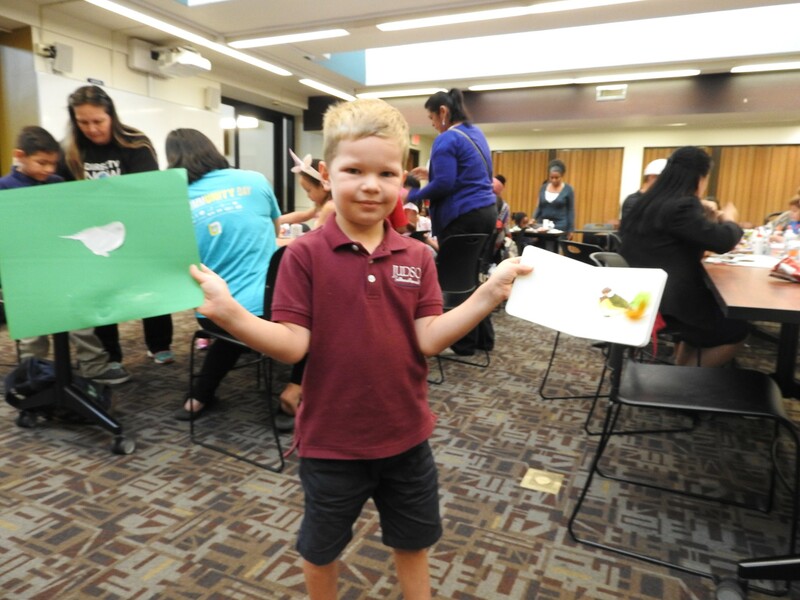 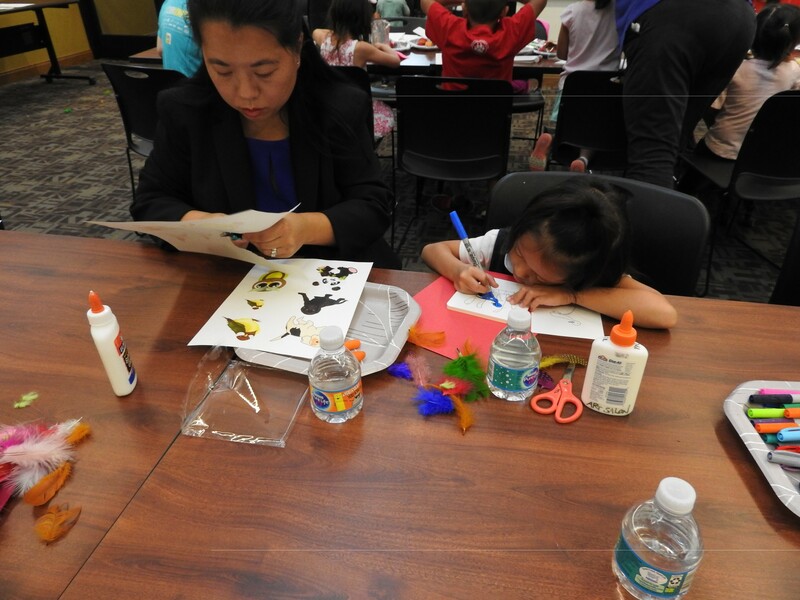 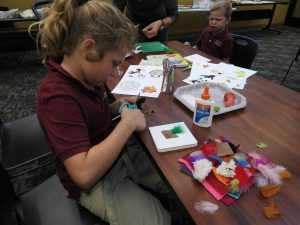 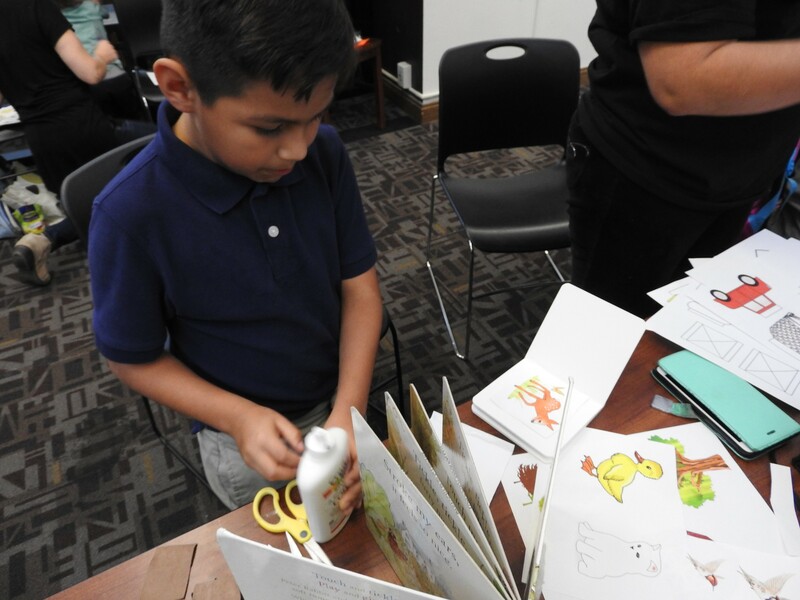 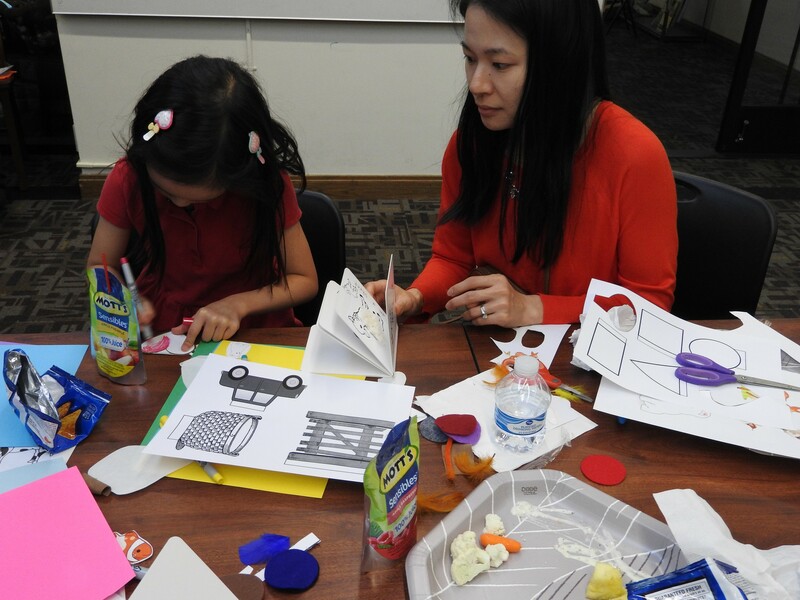 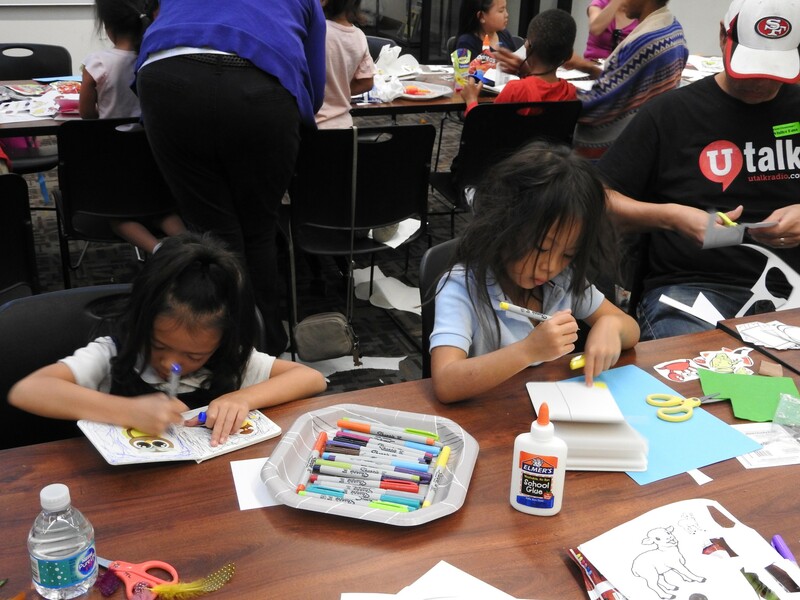 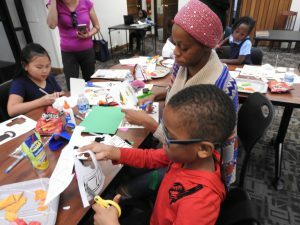 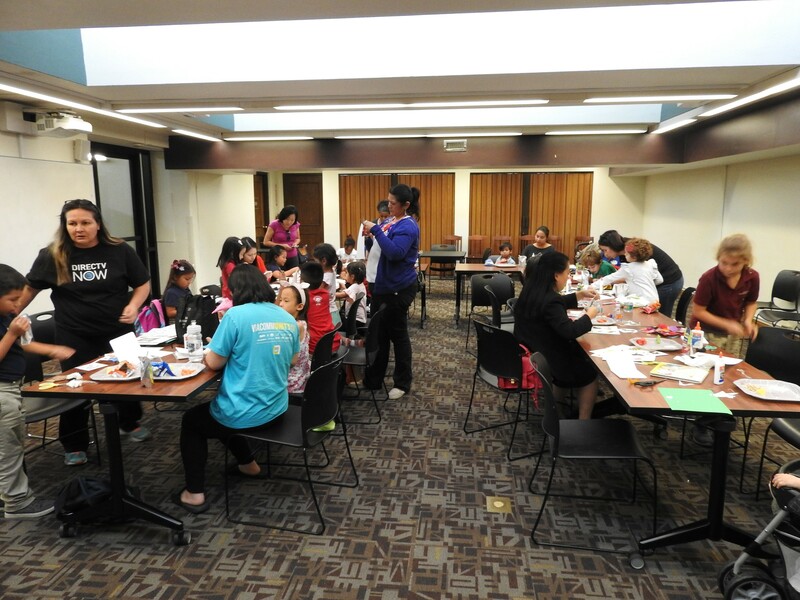 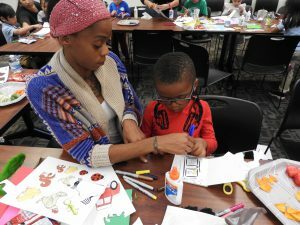 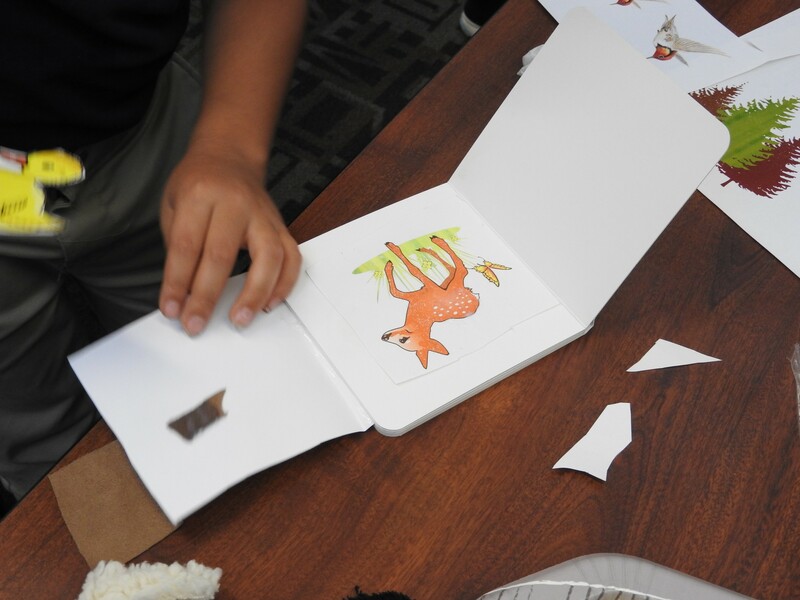 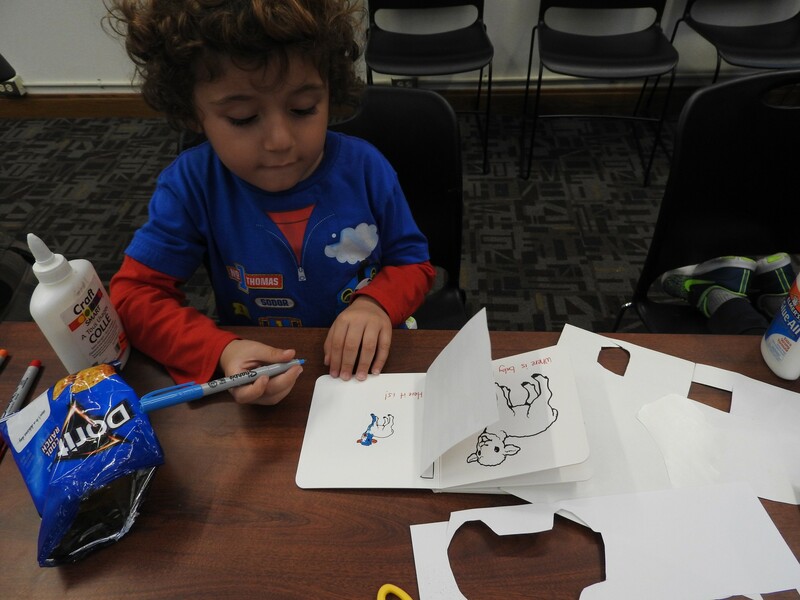 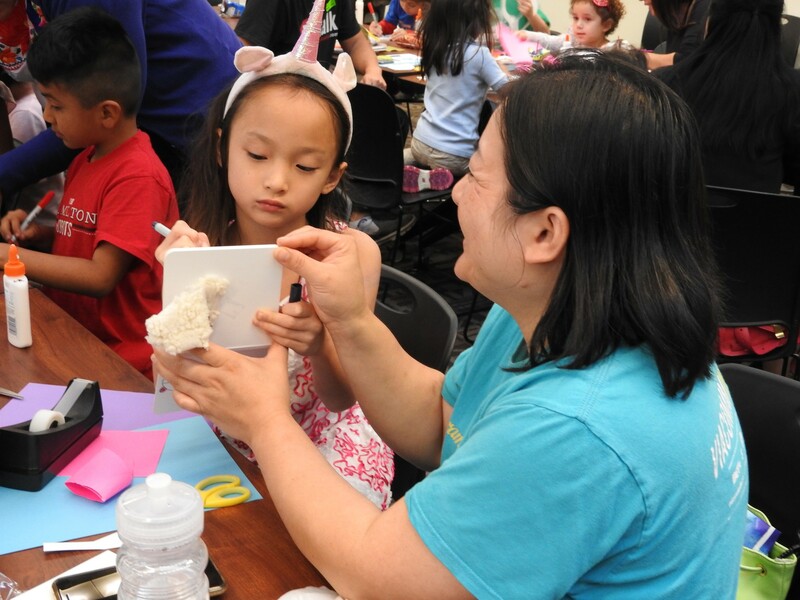 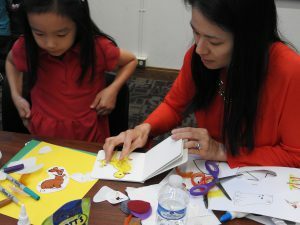 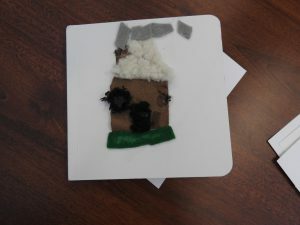 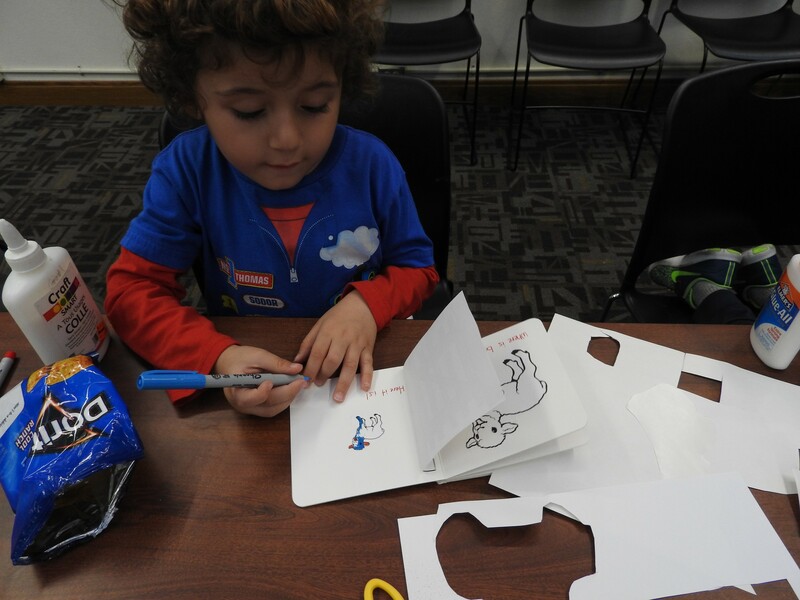 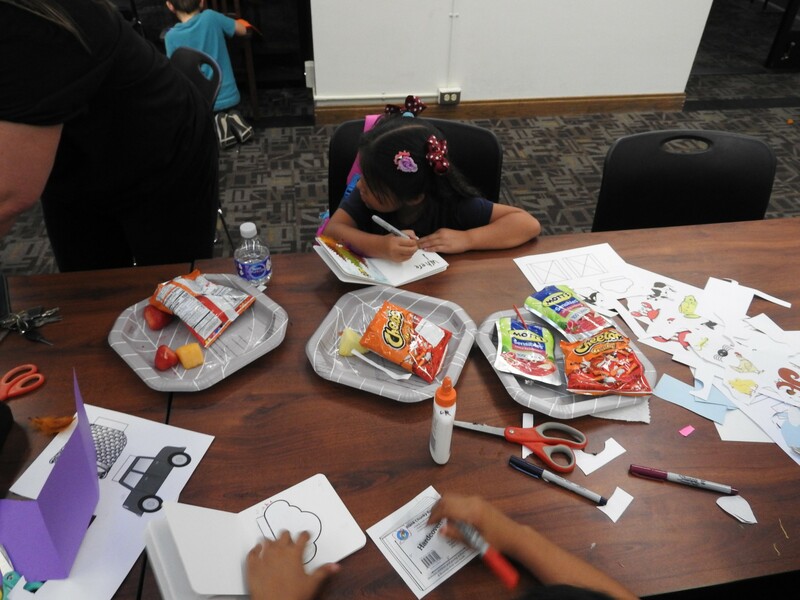 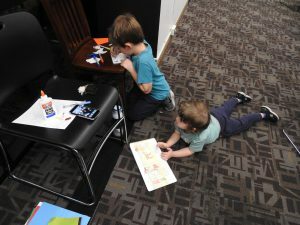 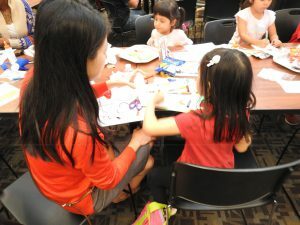 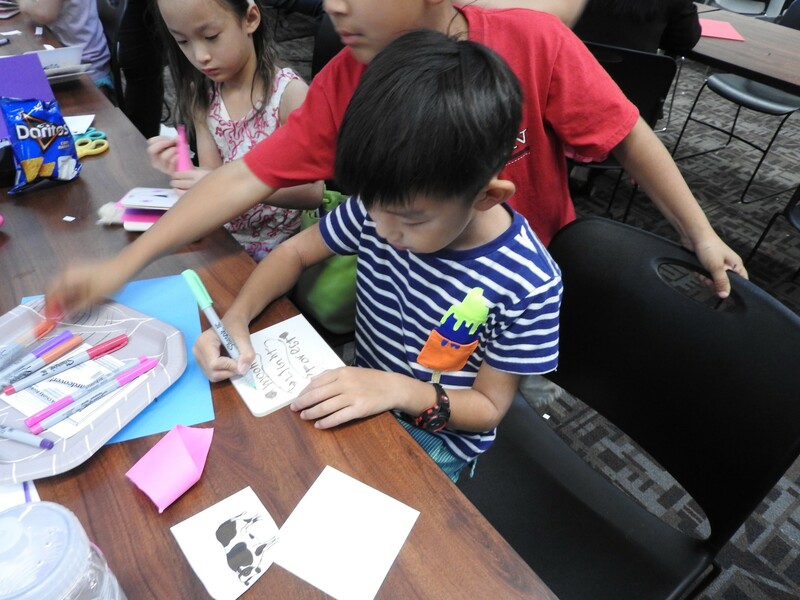 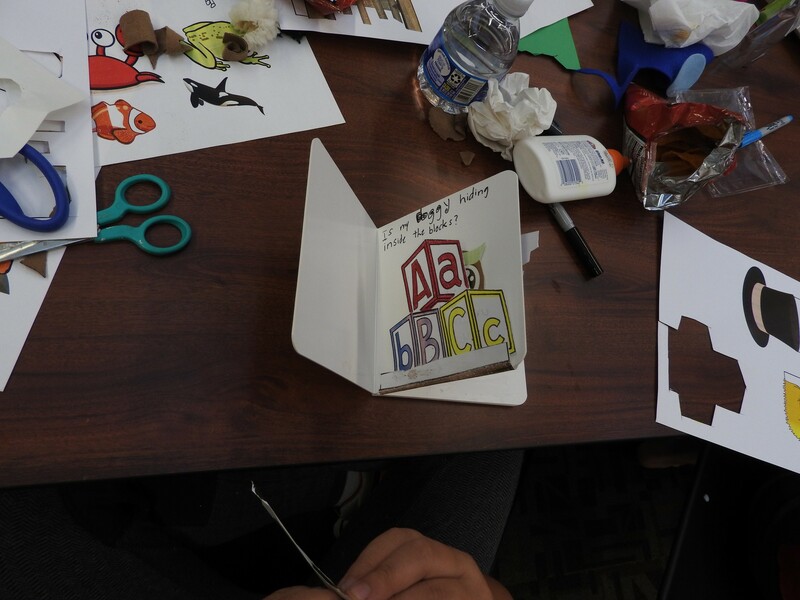 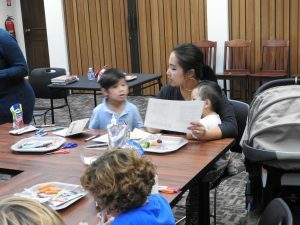 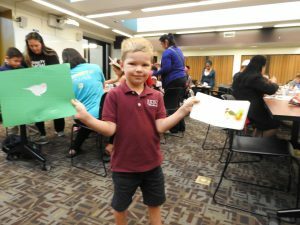 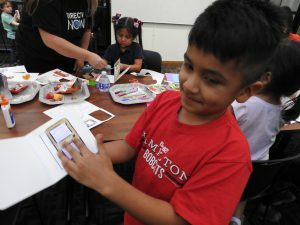 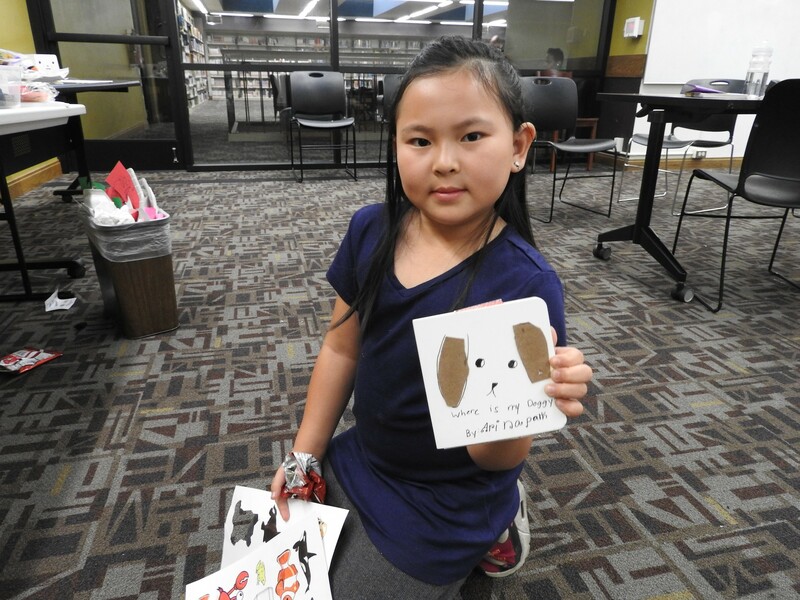 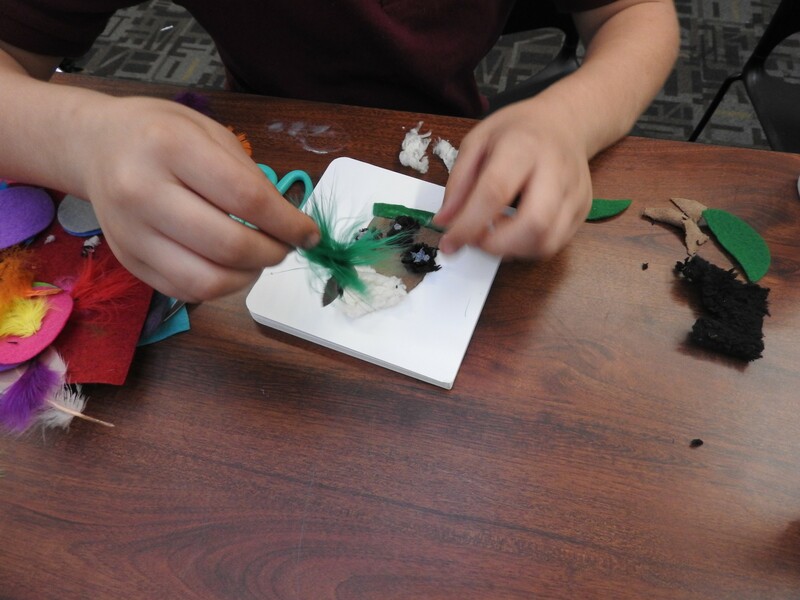 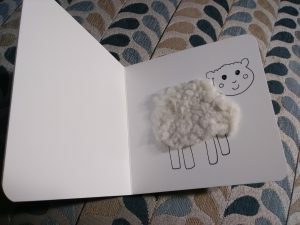 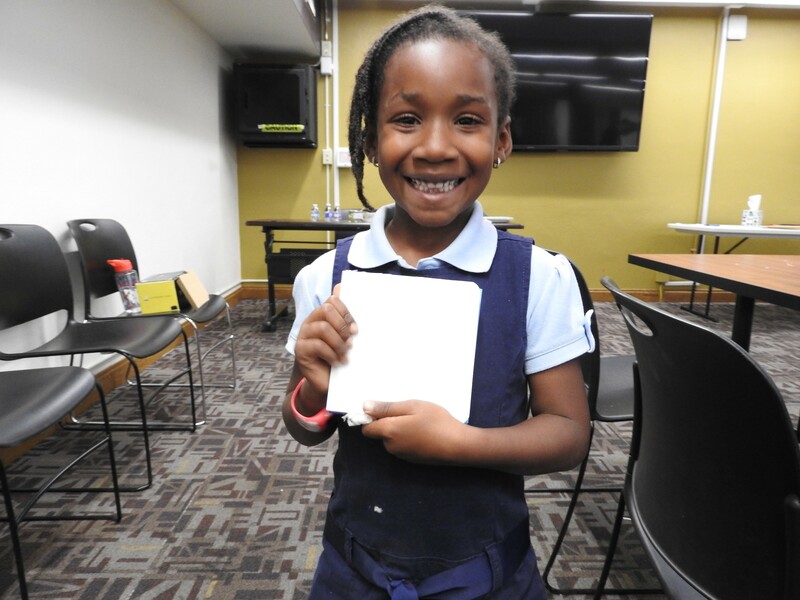 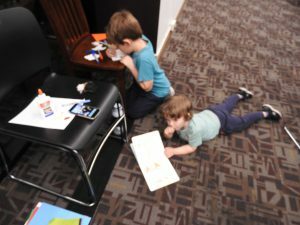 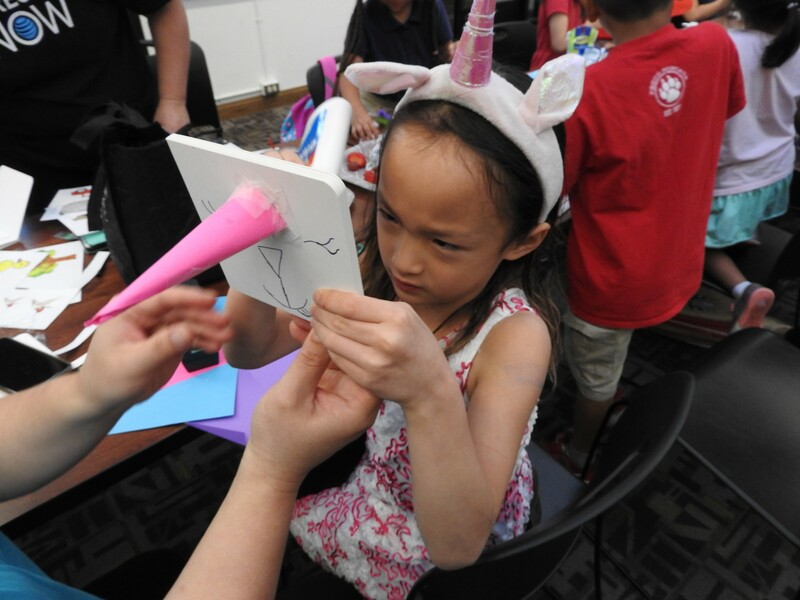 Last month, we had a Writing Party for kids 5-8 years old about making a board book for a baby relative or friend. 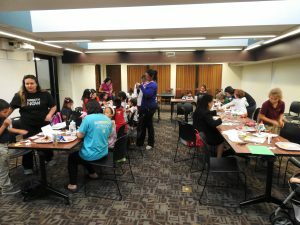 Turnout was huge! 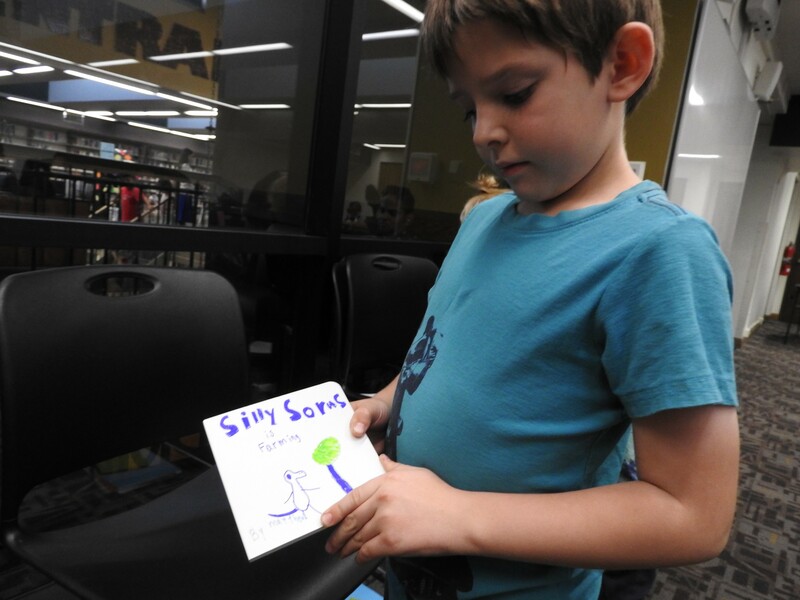 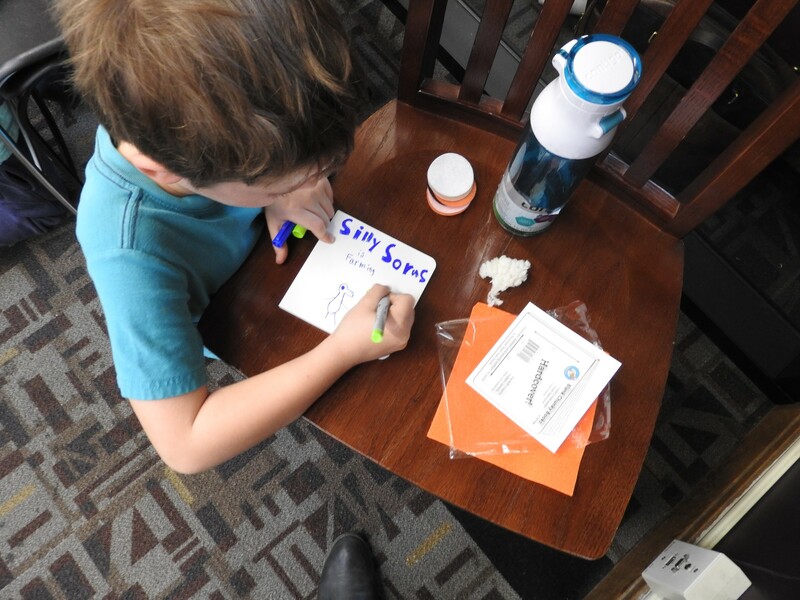 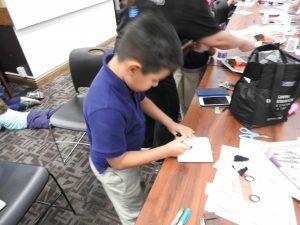 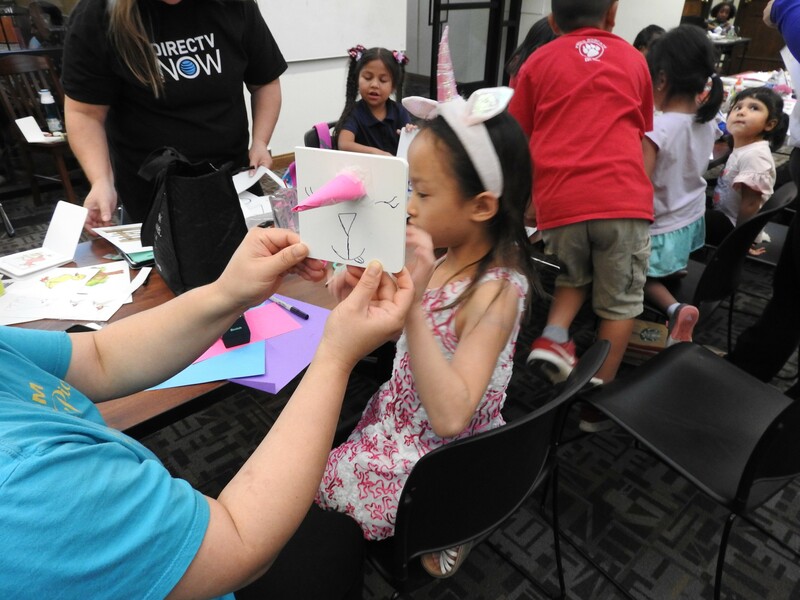 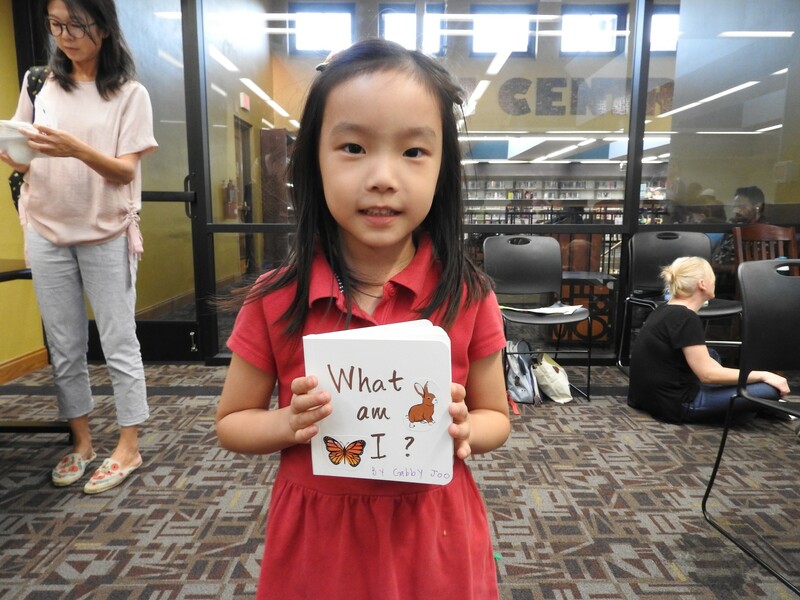 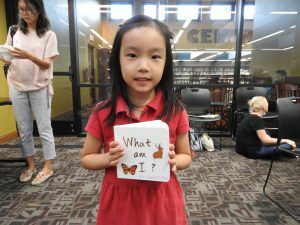 It was one of the most exciting writing programs I’ve ever done at the library. 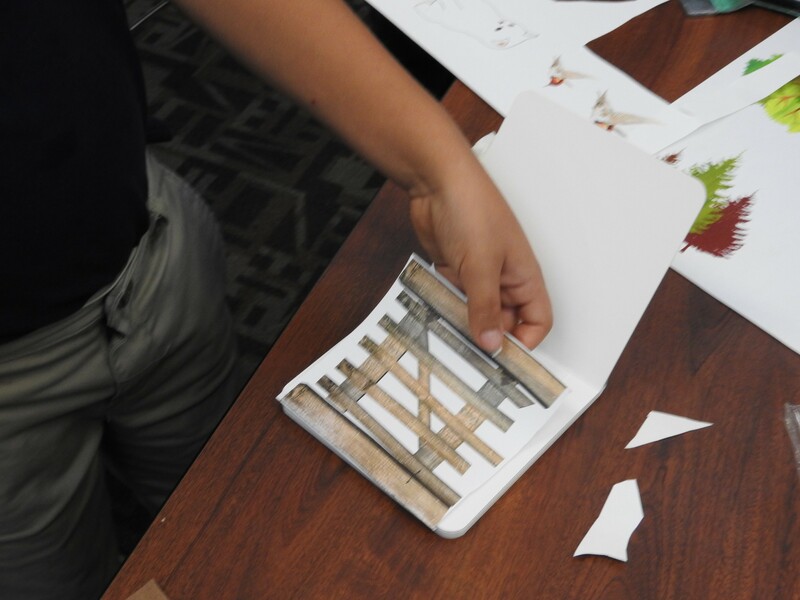 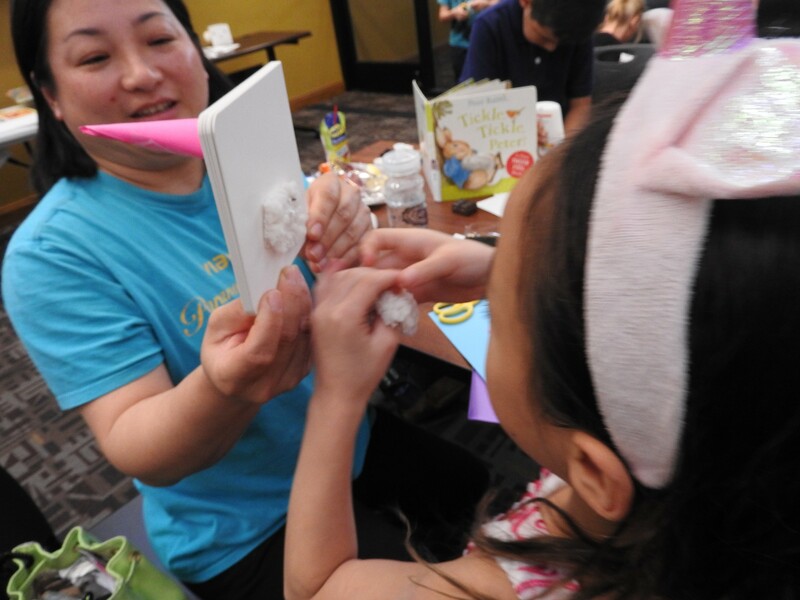 Kids and their families came and had a blast putting together books with flaps that lift and textures for a baby to touch. 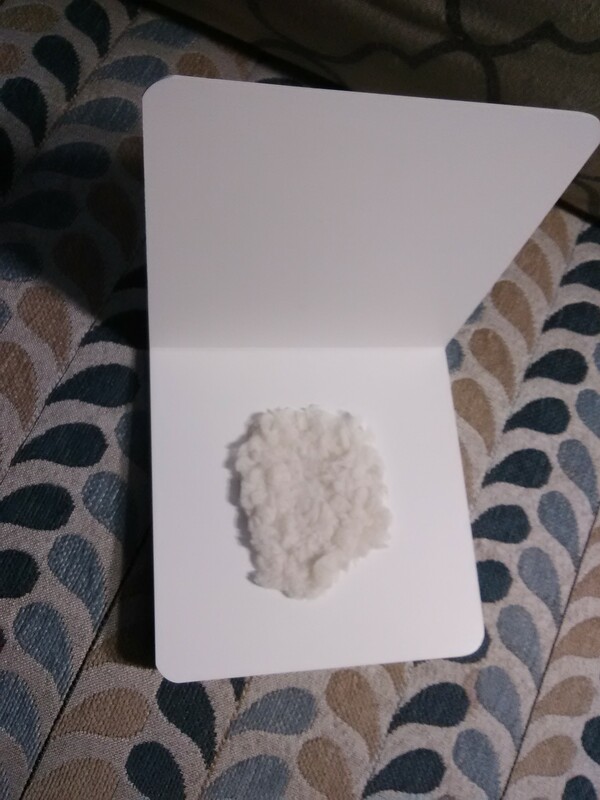 In developing this program I had to first create a sample. 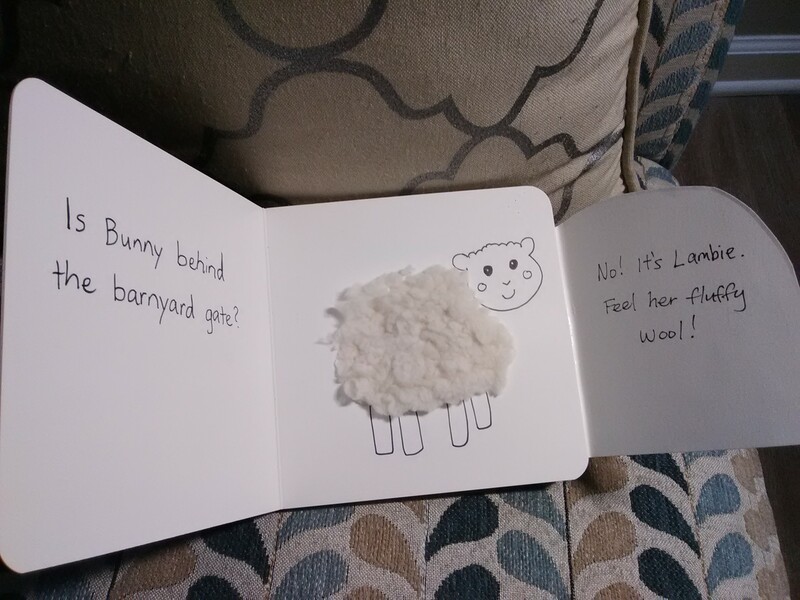 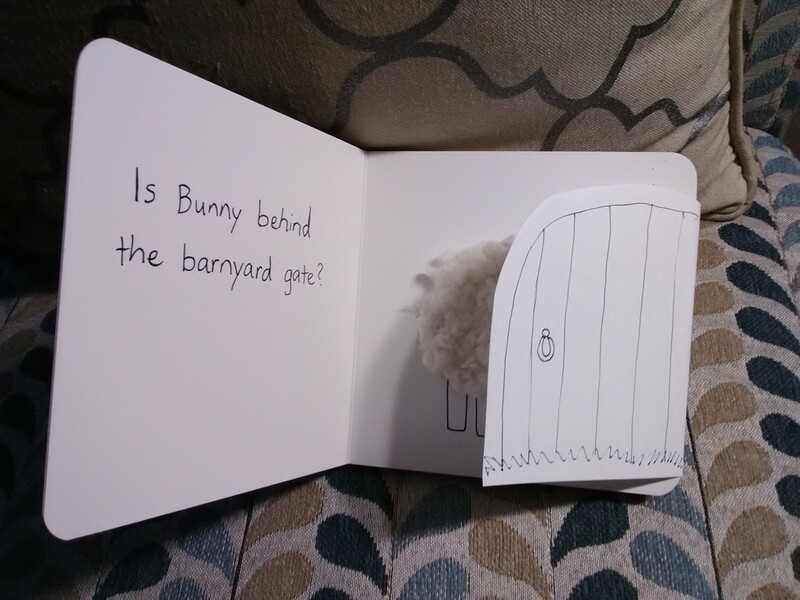 The theme or premise of my board book (which I later gave to my baby nephew) was looking for a bunny and lifting flaps throughout, to find other animals there, then finding Bunny at the very end. 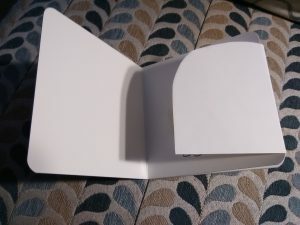 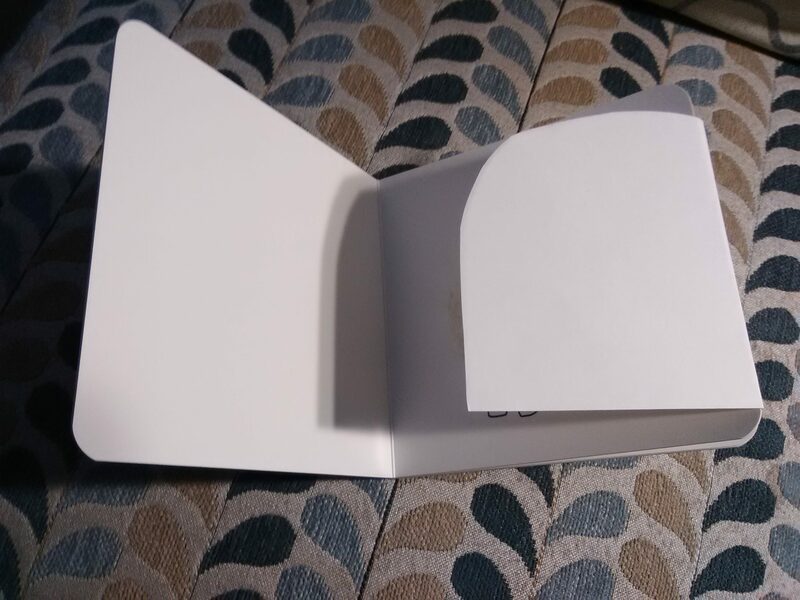 Looking for something is a common premise in lift-the-flap books, and it introduces elements of surprise, as well as different vocabulary words, and builds up just enough suspense for an infant to take an interest in what’s going on. 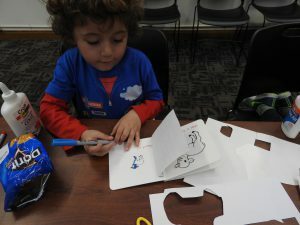 I showed the kids my finished, colored board book and then gave them some other examples of board books from our library’s collection to help them get ideas for their own books. 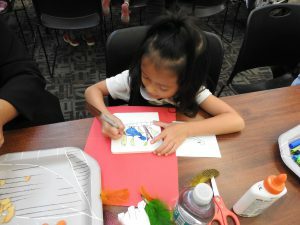 Lots of sharpies of different colors! Regular markers will smear on these board books. And then comes my favorite part… When the kids show off their books and read me what they wrote or tell me what they planned to write! Check out these budding authors. Those baby recipients are super lucky to be getting these books for Christmas! I hope these videos and pictures demonstrate that writing workshops CAN indeed be fun, draw big crowds and encourage developing literacy skills, especially when there is a craft or artistic element to the workshop! 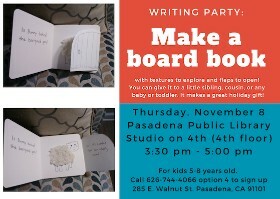 Can’t wait to do another writing party, perhaps in the spring!